I don’t know about you, but I just loovee some flowers and plants all around the house. It gives that vibe of freshness without you having to live at a beach house. You can just get yourself a beautiful bouquet or make your own arragement and the colours can change from week to week giving you that little umph! that we all need sometimes. 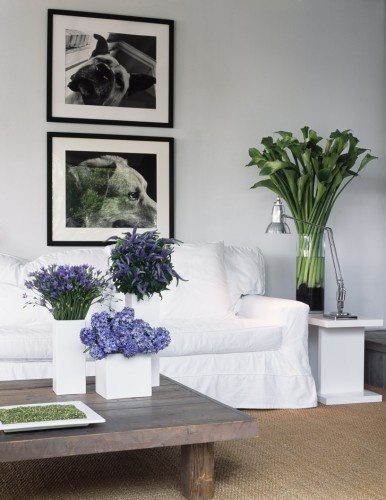 Here I’m going to show you some ways to use flowers around your house because I feel like there is enough types and styles for every mood and every type of room. 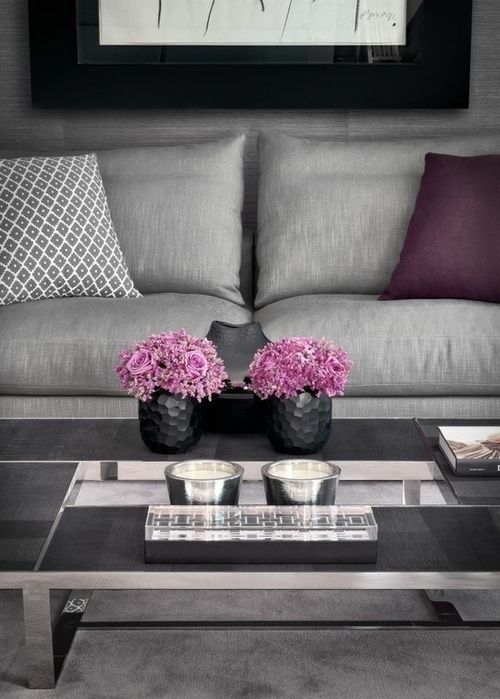 Would you agree with me if I said that this sofa area would be very boring without those little purple arrangements ? A much needed pop of colour, isn’t it?! Here’s another pop of colour that speaks loud in this neutral living area. 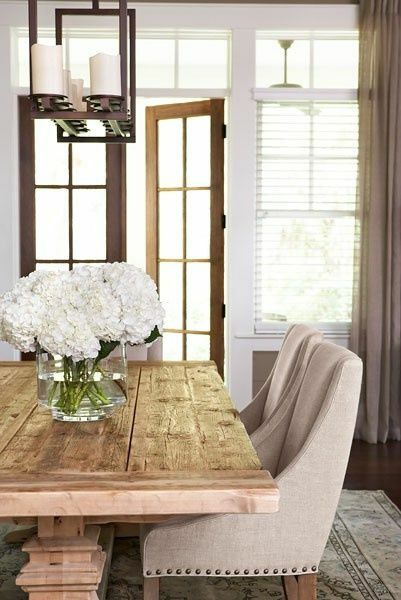 Not much is going on with the furniture as you can see, all white with a very rustic vibe, but if looks so fresh! What I like about it is that you can change that up depending on your mood or the season ! It could be warm colours for fall and winter or very bright colours for the spring and summer. 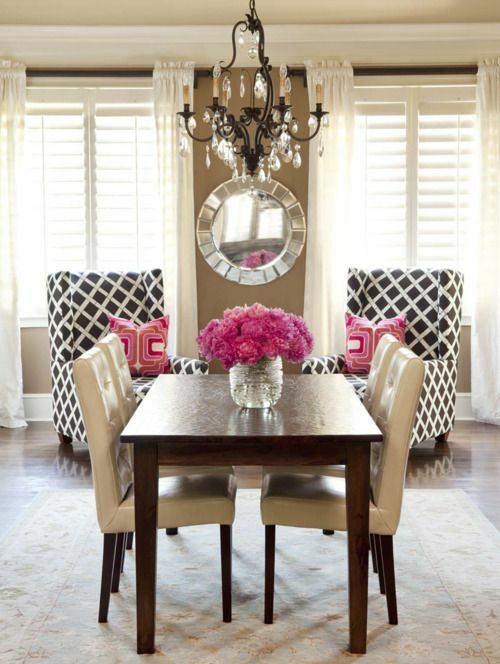 these dining tables look so glamourous it’s almost hard to think it’s one bouquet away! 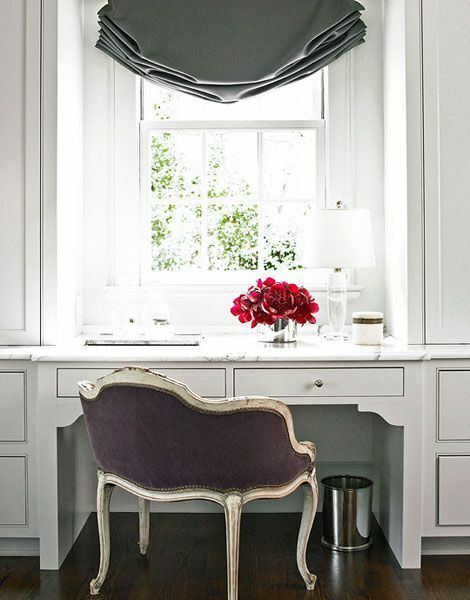 You can litterally place your flower arragements anywhere in your house, they really go in the living room just as much as they do in your office or your desk area. It brings it to life! And in case you’re not a fan of flowers and roses and what not which I don’t know how that’s even possible (woops! 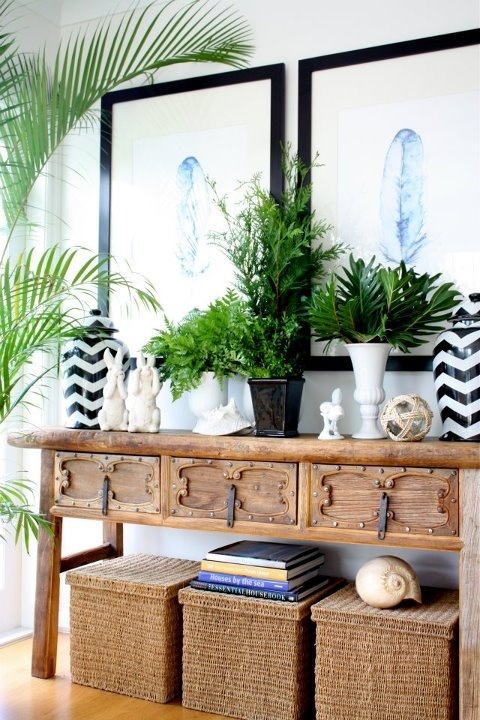 ), these plants in the picture below are totally another beautiful way to bring nature into your home and make you feel alive! Go get yourself some flowers if your house needs a little pick me up! I hope you enjoyed this post and if there is anything you’d like to add, the comment section is all for you!